Nintendo is growing their amiibo selection throughout December well into 2019. In celebration of Super Smash Bros. 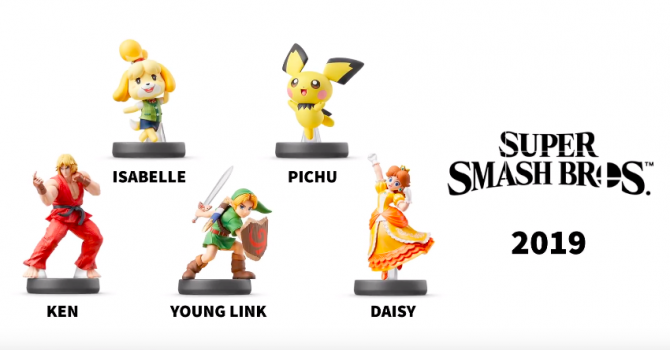 Ultimate new amiibos based on existing and newcomers have been added. It was confirmed that even more amiibos are coming, this is likely based on the upcoming DLC characters such as Piranha Plant. Super Smash Bros. Ultimate launches this December 7th for Nintendo Switch. Super Smash Bros. Ultimate's first DLC character Joker was confirmed a while back. Nintendo decided to surprise everyone today by revealing Joker will arrive tomorrow.